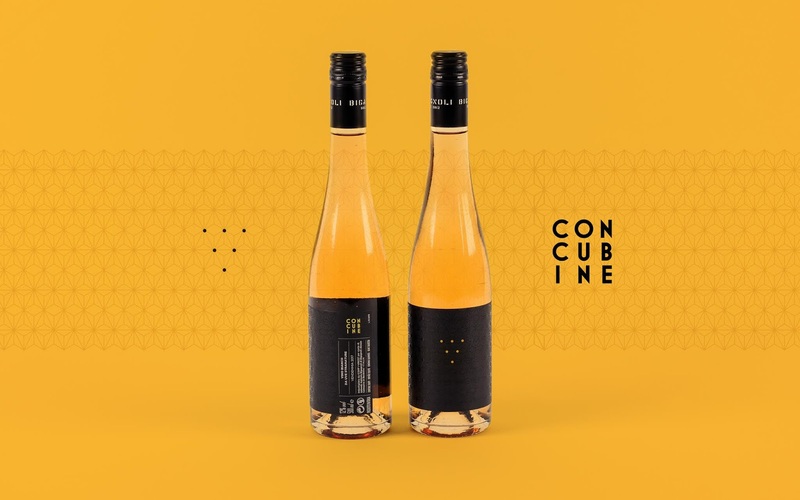 CONCUBINE is an awesome sweet wine, with a bright color and a deep taste. 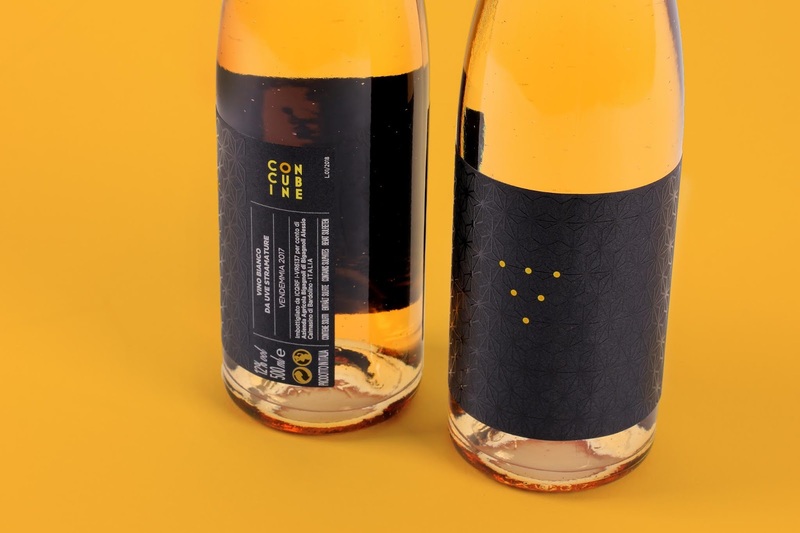 Bigagnoli still breaks out the norm and challenges the market — as it happened with his widely renown red and white wine — by creating a label with a geometrical black pattern, enhancing the luxury of the wine and embracing the bottle in a precious and modern texture. 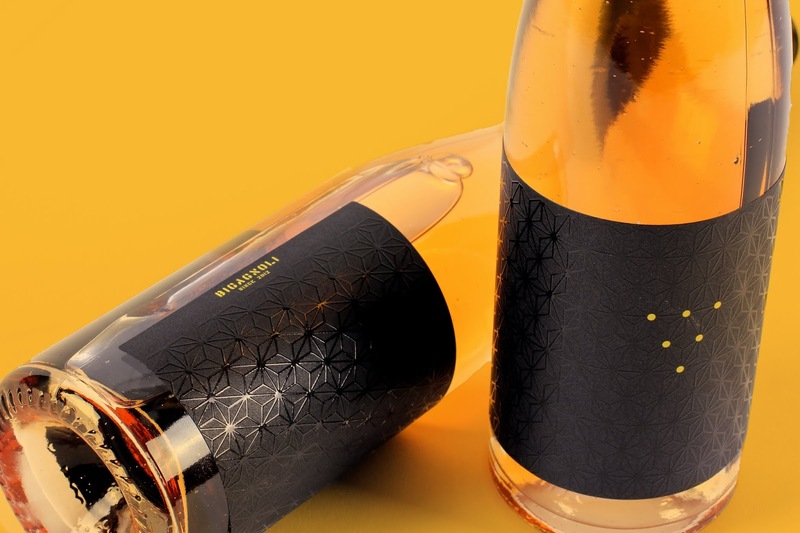 No datas, names or logos are visible in a front view: the product itself speaks, inspiring emotions and desires. 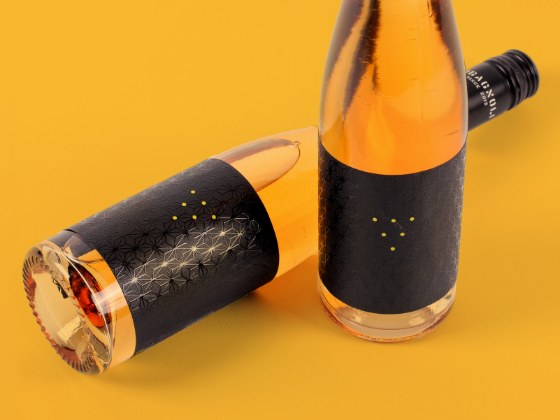 The user is bound to touch, rotate and watch closely the bottle to discover informations. 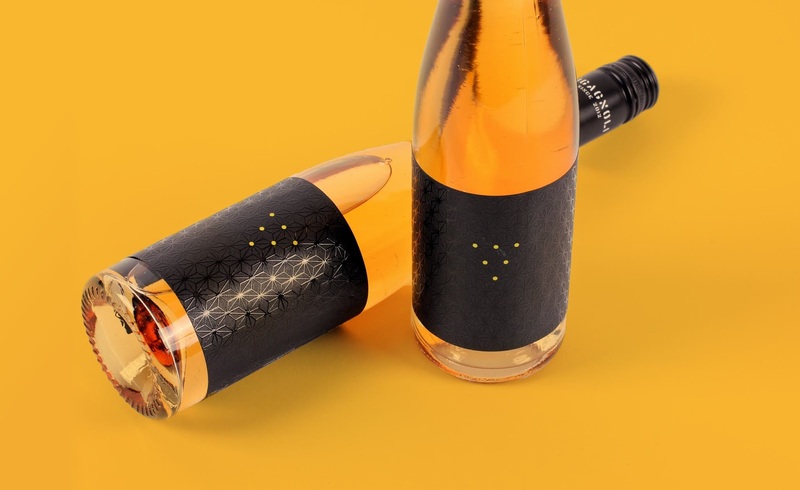 The pattern is enriched with a tactile varnish (transparent over black paper), which embodies the bottle in a fresh black pattern, letting the wine color explode with its superb nuances. 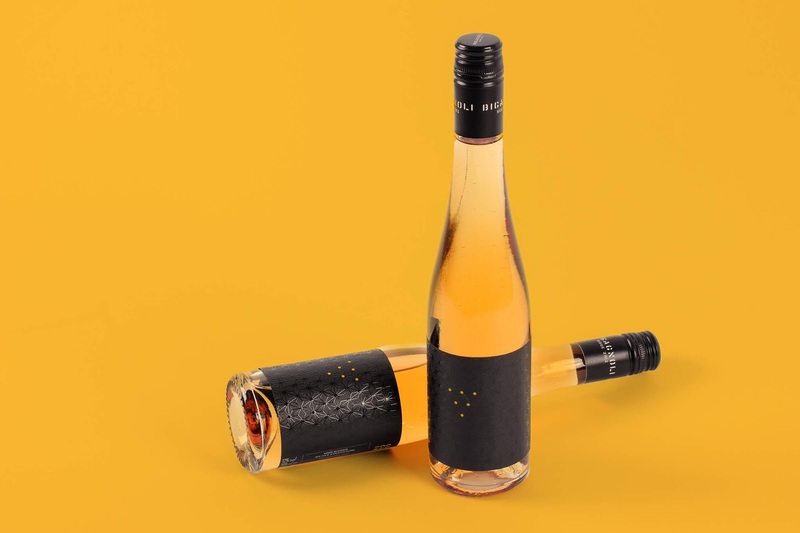 A luxury pack for a luxury wine.